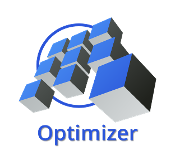 The Mozaik™ Optimizer takes your cutting lists to the next level. Quickly estimate material requirements, optimize parts for manual table saws or sliders. The Mozaik™ Optimizer can be added to Mozaik™ Manufacturing. The Mozaik Optimizer adds $25/mo to your Mozaik Manufacturing monthly subscription. All Mozaik Optimizer features are included in Mozaik CNC Complete.